From Stoorstalka: 7 and 13 double-slotted Sunna heddles, clips, heddle threaders, and a shuttle. 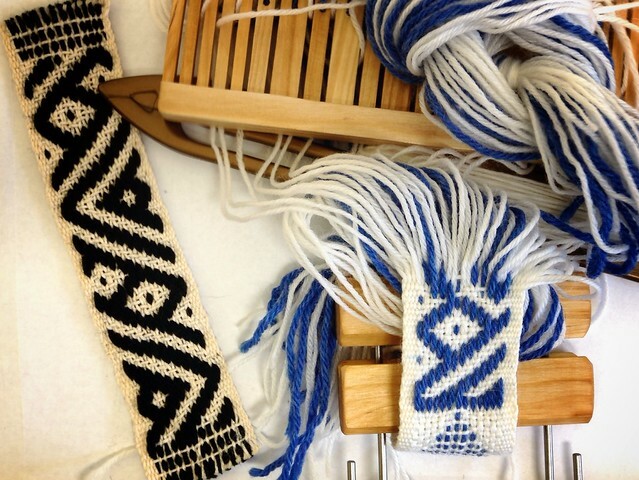 All of these have helped fuel my band-weaving obsession. 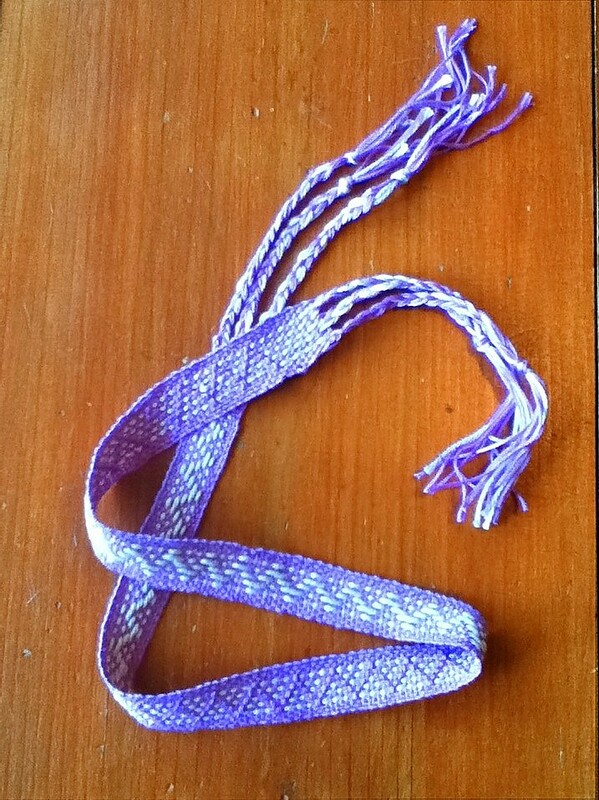 This band has a 13 strand pattern that I love. 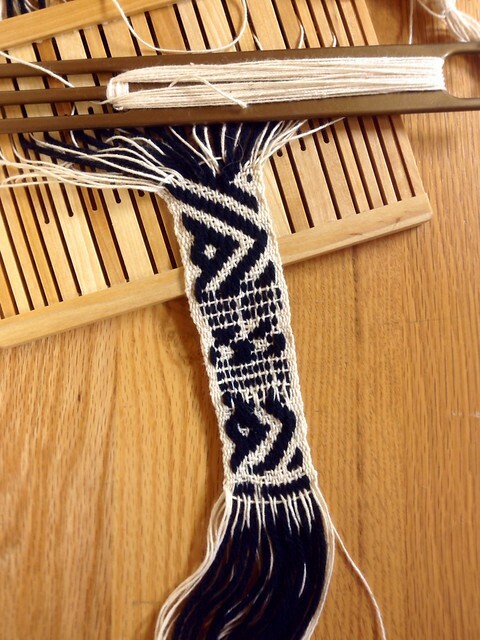 The pattern threads are wool, and the background threads are acrylic. Not a usual combination, I know, but it worked. 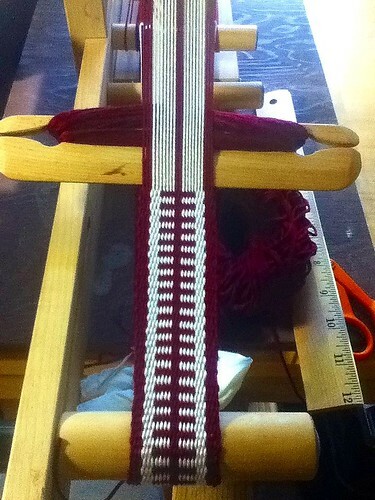 Here’s a Sami pattern I wove this weekend. 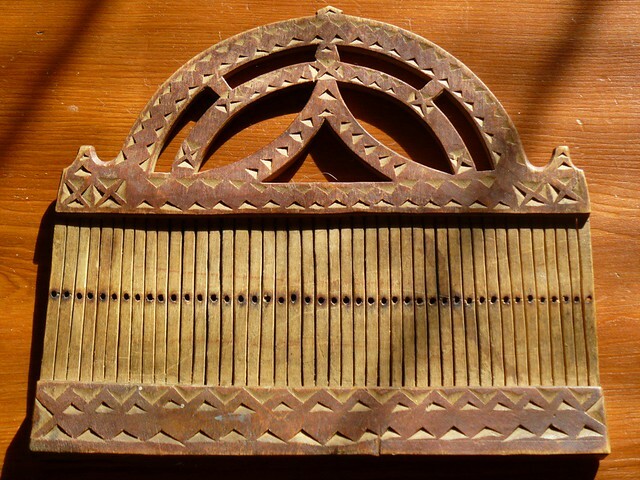 It has 13 pattern threads. 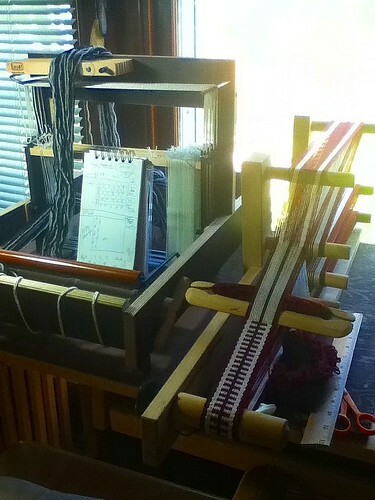 I’m using a rigid heddle with shorter slots in the center for the pattern threads. 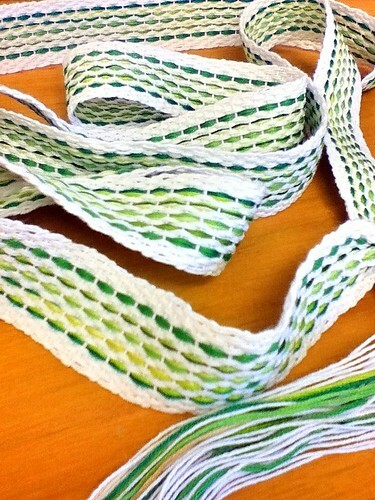 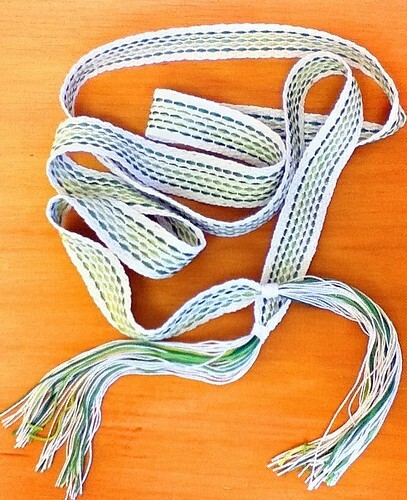 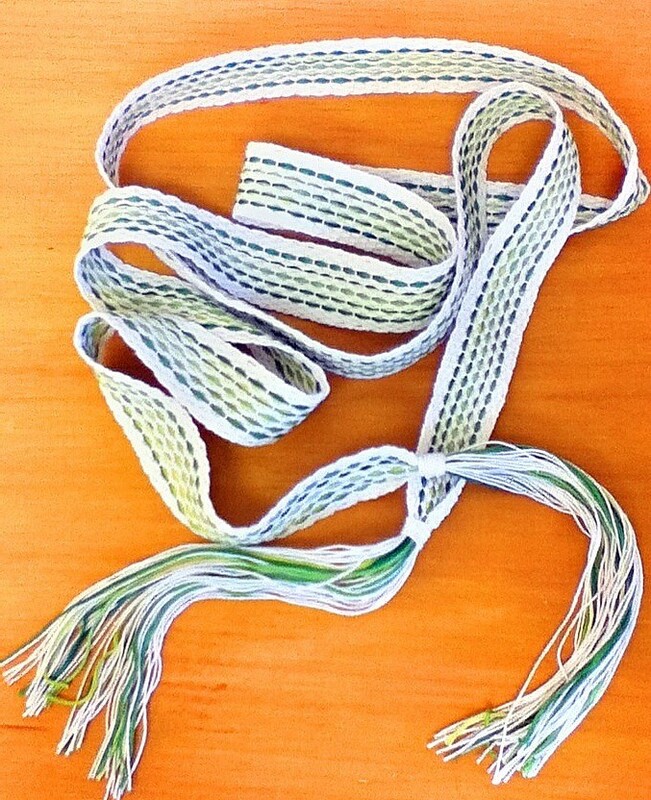 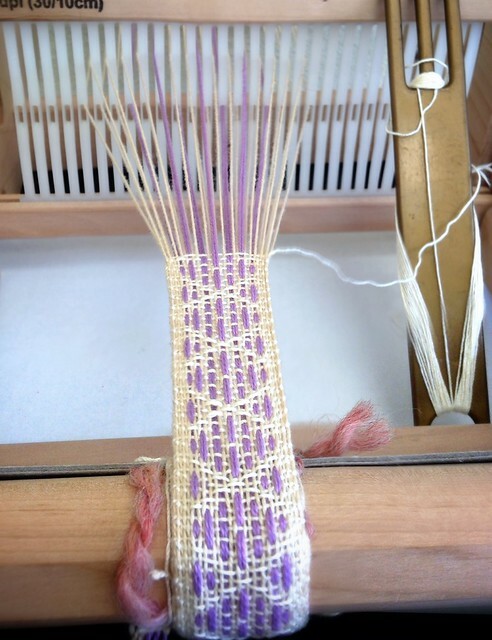 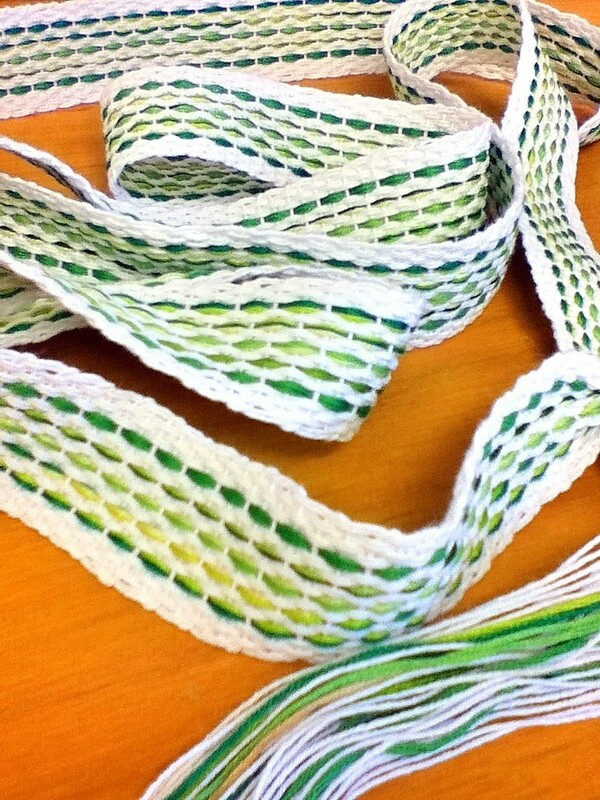 I’m planning on making this into a backstrap–to use to weave more bands.